Do you think that the failure of this model in predicting the large peak in the African residual topography is an indication that the theory is incorrect? 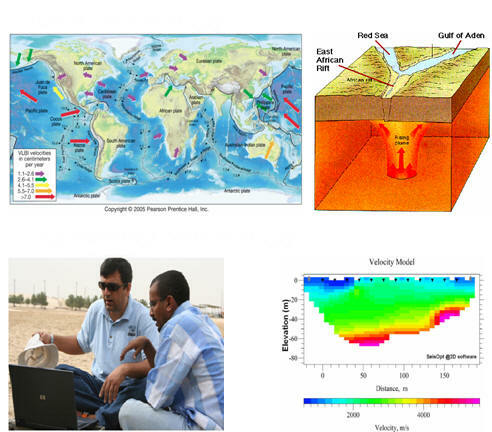 Why did the author neglect the effect caused by heterogeneity of the mantle below 670 km depth? Describe the mean features of models that used to explain rift-flank uplift? Illustrate the main steps used by the author in formulation of his model? What the author claimed about the tilting of the Arabian platform? What do you mean by seismically fast mantle ? In the mega-plume area, would you expect high velocities or low velocities? Why don't the thermal and mechanical models offer a good explanation for tilting of Arabia? What does thermal model say about the rift-flank uplift?